Cuts up to 5/8 in. mild steel. The unit offers easy connection to 120V or 240V input with Auto-Line technology and MVP Adapters. Learn what plasma cutting is and how a plasma cutter works in this video with Steve Christena, owner of Arc Academy. Learn how to create a fire pit using your multiprocess welder and plasma cutter! Miller Spectrum 625 X-TREME™, complete with shoulder strap and carrying case, is extremely powerful - generating 40 amps! 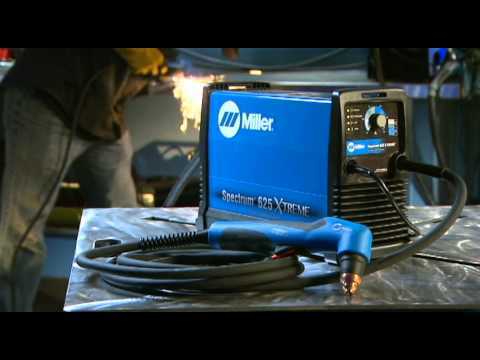 Miller's Spectrum 625 X-TREME plasma cutters give you the performance and portability that you need. Optimal eye coverage with increased style comfort with rubber ear pads.